A take-home course based, mainly, on A Course in Miracles. If you have lost interest/faith in traditional religion but feel the need for a practical and a spiritual direction in life, this book could be what you’re looking for. If you feel trapped in a life you do not love, here is a practical, step-by-step guide over twelve weeks, to take you in a new and vibrant direction. Whether you want change in relationships, health, career or sense of self, this may just be a key to unlocking your peace, power and potential. The Twelve Week Miracle gives you the opportunity to create real and lasting change in your life in just twelve weeks!" "With humour and simplicity, they offer a 12-week course that really can be a ‘new beginning’." "Its simplicity and ease of use is testimony to the vast knowledge, wisdom and expertise that Anna and Philip have to offer." I met Anna and Philip at a recent A Course In Miracles workshop and was impressed by the humour and lightness they bring to their spiritual journey, whilst at the same time showing a clear commitment to their spiritual practice. 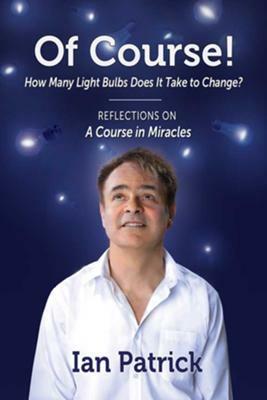 In his first book, long-standing 'A Course in Miracles' student and teacher Ian Patrick shares a wide variety of insights and personal revelations on the Course. Now, in one volume, Fearless Books presents the best of Ian’s articles selected from over 100 editions of Miracle Worker magazine, re-edited by D. Patrick Miller and updated. From the light-hearted to the profound, these short essays reveal the down-to-earth illumination of a dedicated Course student who "remembers to laugh"— and who understands the everyday challenges of working miracles. In 2003, Fearless Books changed the lives of countless Course students with its publication of The Disappearance of the Universe. Could it happen again? Of course! 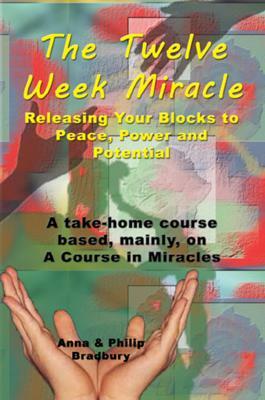 Ian Patrick is editor of Miracle Worker Magazine which I have been reading with great gratitude since 1994. I came to it through becoming addicted to the tapes of Marianne Williamson. It was at this time that I became severely disabled, no longer able to walk or talk. These tapes kept me going. Little did I know then that the person sending out the tapes was doing it primarily as a labour of love; Marianne Williamson’s message had touched him so deeply that he wanted others to hear it too. Ian’s editorials in the Miracle Worker (which form the basis of the book) are startling in their honesty. He shares how he applies ACIM, albeit imperfectly at times, to the trials of life. We can all relate. His words reach us where we are and move us forwards. Click on the amazon links above to see this ACIM book in Amazon UK or Amazon USA bookshops. Click to read: My answer to "What is ACIM? – A Course In Miracles"